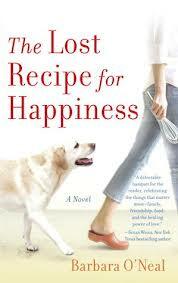 Today I am sharing two passages from The Lost Recipe for Happiness by Barbara O'Neal, and then an associated recipe. I have read several of this author's books over the last year or so, and if you want a feel good read with lots of delicious sounding food then I would highly recommend Barbara O'Neal. On Christmas Eve, the restaurant closed at eight, and by ten, Ivan and Patricak were settled in front of the Christmas tree at Patrick's place, drinking eggnog and listening to rock-and-roll Christmas carols, which Ivan insisted upon. Springstreen sang "Santa Claus is Comin' to Town," in that raw, ragged voice, and Ivan leaned back happily, drink in hand, to watch the lights sparkle. Patrick was cutting out paper snowflakes that he was going to use for table decorations tomorrow, when a few people would come over for a Christmas goose with all the trimmings. Patrick had made a special request for it, tickled by the idea of a Dickens sort of Christmas and Ivan tracked down one of his suppliers to get a honking big bird - he laughed every time he said this - and it was marinating now. Ivan would get up at dawn to put it in the oven so it would be ready for dinner. He'd also secretly rented a Victorian-era costume, complete with a top hat, in which he thought he looked pretty hot. The restaurant was closed. All of Liswood's restaurants were closed for Christmas and again on New Year's Day. He felt everyone deserved a couple of days off every year, no matter what, something Ivan found remarkable. "This is great," Ivan said. Patrick smiled up at him. "It is. I'm so looking forward to our dinner tomorrow! Thank you for cooking goose." "The joke might be a little overdone," Patrick said, but he was grinning. He unfolded think white paper to reveal a beautifully intricate snowflake. "Sure you don't want to try one?" And this passage from page 391 features Elena, the executive chef of the restaurant referred to above. Portia is the daughter of the owner, Julie Liswood. But the biggest pleasure was in her connection to Portia. It was as if she had suddenly inherited a smart, pretty niece who wanted to do everything with her. They made Christmas cookies - a ritual the girl had never had the pleasure of performing - and decorated a tree and put garlands around the windows. They shopped for Christmas presents. Preheat the over to 400 degrees. 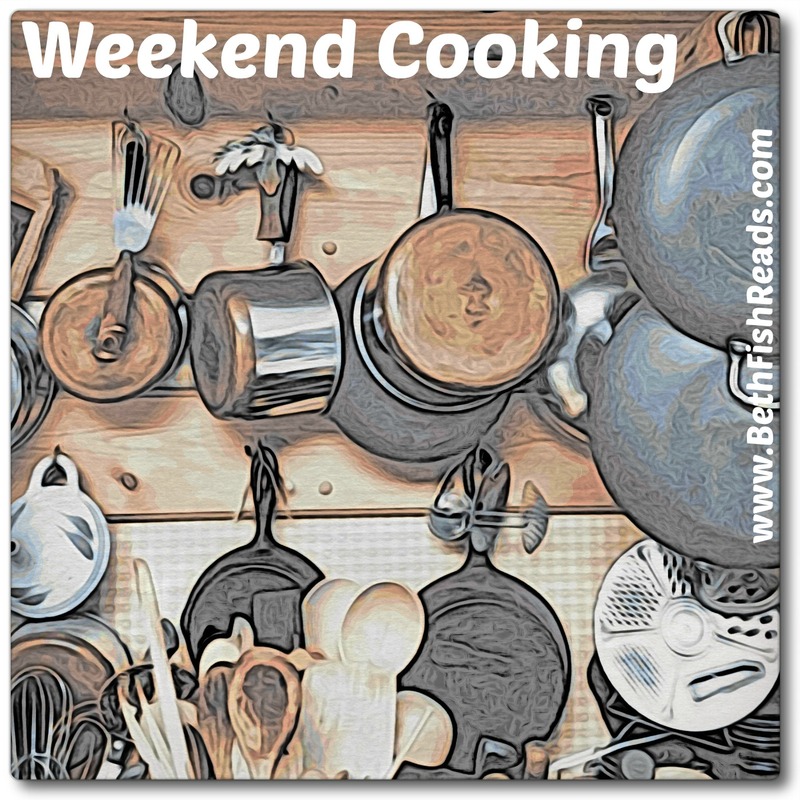 Grease a baking sheet or use parchment. In bowl, beat the butter, lard, and sugar until creamy. Add egg yolks one at a time, beating them into the sugar mixture well. 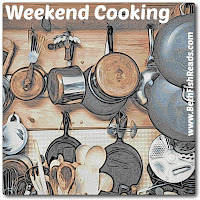 Add the orange zest and the juice of the orange, then fold in flour and almonds in small batches, blending well. The dough will be crumbly. Roll it out on a floured surface to 3/4 inch, and cut out small circles, an inch or so. Bake about 15 minutes, until lightly golden, no more. Sprinkle with powdered sugar if desired. Loved the passages you shared. Those cookies sound wonderful and remind me of cookies my grandmother used to make, but she called them Mexican *wedding* cookies! Perhaps they are simply celebration cookies?? Sounds like a great book for a Christmas read. Loved the passages you shared. Will put this one on my short list for the library. This is exactly the type of book I crave this time of year. My grandmother called these Mexican Wedding Cookies, too! Fun and festive passages! Those cookies sound good. This sounds like a good holiday read and the cover is irresistible. Nice passage and yummy sounding recipe! Barbara is my favorite author. I love her women's fiction books. So much wonderful food in them! She has even written a couple books about writing, love those too. Sounds like a great read. Thanks for sharing the Mexican Christmas cookie recipe - they sound delicious.